Nate Birkey’s quiet but intense demeanor typifies an artist restlessly pursuing the evolution of his own musical personality. 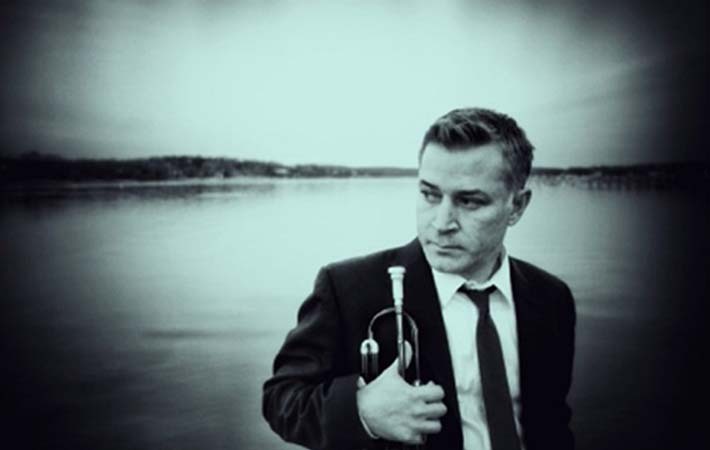 As composer, trumpeter and vocalist, he imbues warmth and broiling energy into his music. He steps into some terrain both new and old by offering fresh yet traditional approaches to the realm of gospel music and spirituals on his latest album Just a Closer Walk. This isn’t the first time Birkey has followed a particular conceptual path on an album: he focused his musical attentions on earlier albums with the deceptively simple, self-descriptive titles, 2001’s “Ballads” and 2008’s “Christmas“. Alongside the pulse of “straight ahead” jazz in the foundation of Birkey’s approach, his taste for New Orleans, Latin, Country and other genres can also be heard on 1998’s “Indelibly You”, as well as “The Mennonite” (2001), “Shortest Day” (2004) and “Almost Home” (2008). Birkey has released nine albums, the last seven of which are on the California-based Household Ink Records. Whether performing his own compositions, jazz classics, hymns, spirituals, country or pop tunes, Birkey steadfastly holds his quintet together with thoughtful arrangements that instill a sense of wonder as to what’s coming next. A fluid improviser and vocalist of understated grace, Birkey has an engaging way with a song. His sound is poised and assured, powerfully stark and spare – it creates an atmosphere at once solitary and electric.